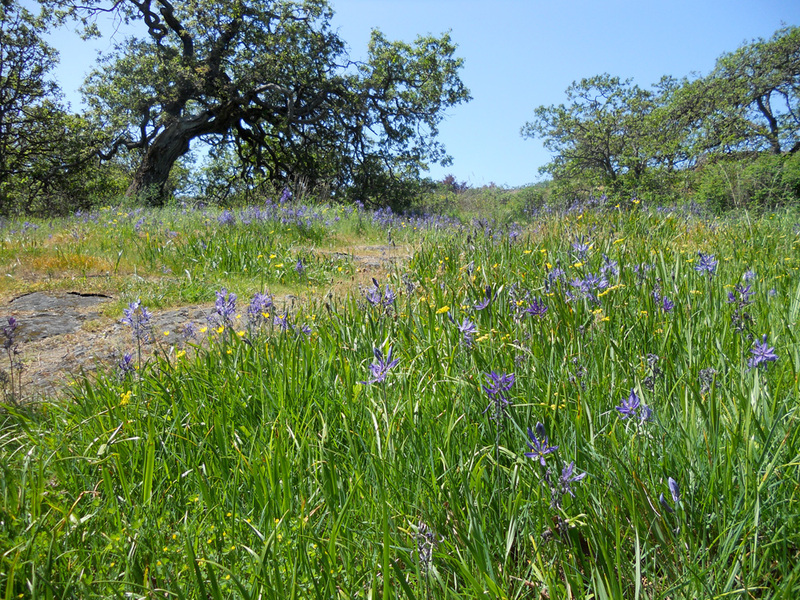 A few random shots from our ramblings. It’s been drizzling the last few days so thought I’d post some pics from finer days last week. 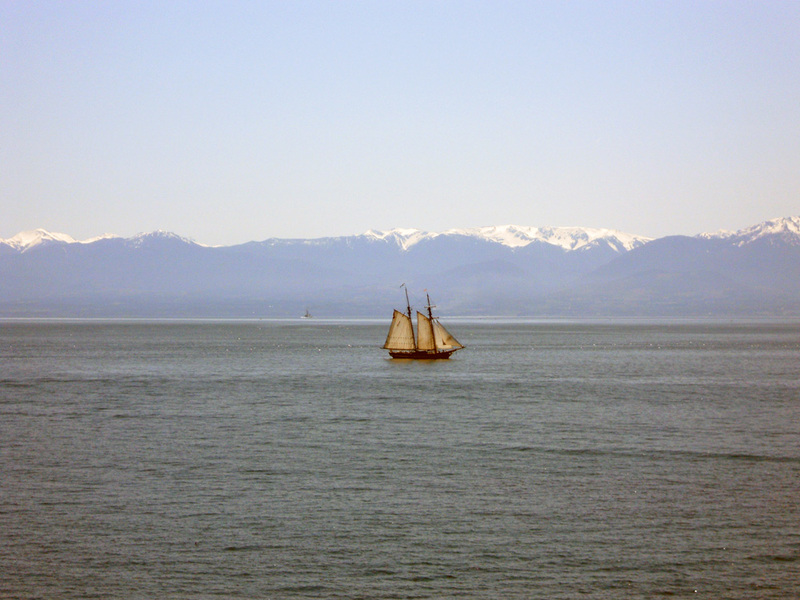 One of our local SALTS training vessels with the magnificent Olympic peninsula behind. 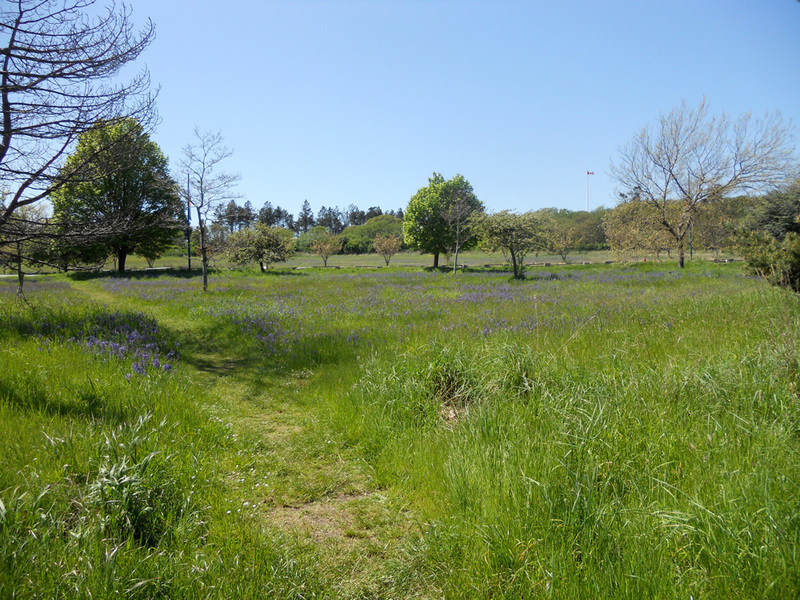 Beacon Hill Park in Victoria BC: every week brings new colours, ever-changing landscapes to explore. I’m looking forward to some summer picnics this year. 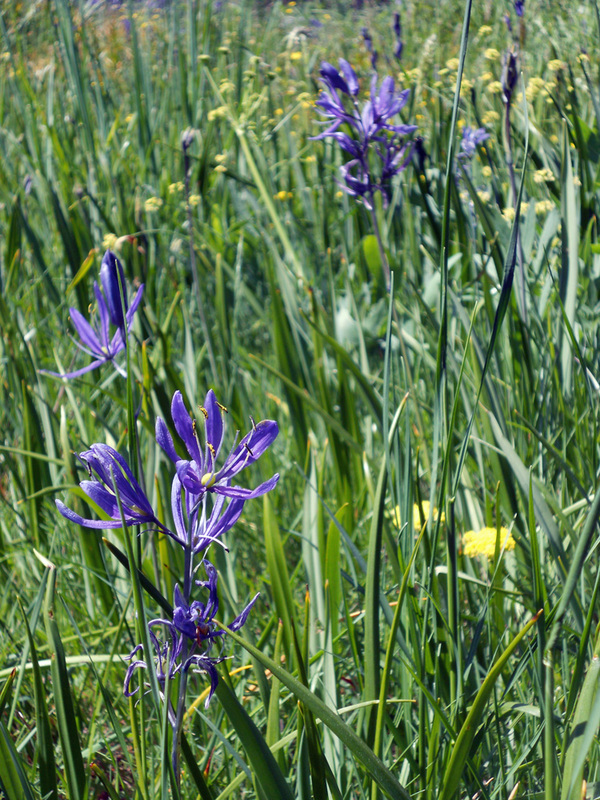 Another lovely prospect in Beacon Hill Park, camas creating a purple hue through the meadow. 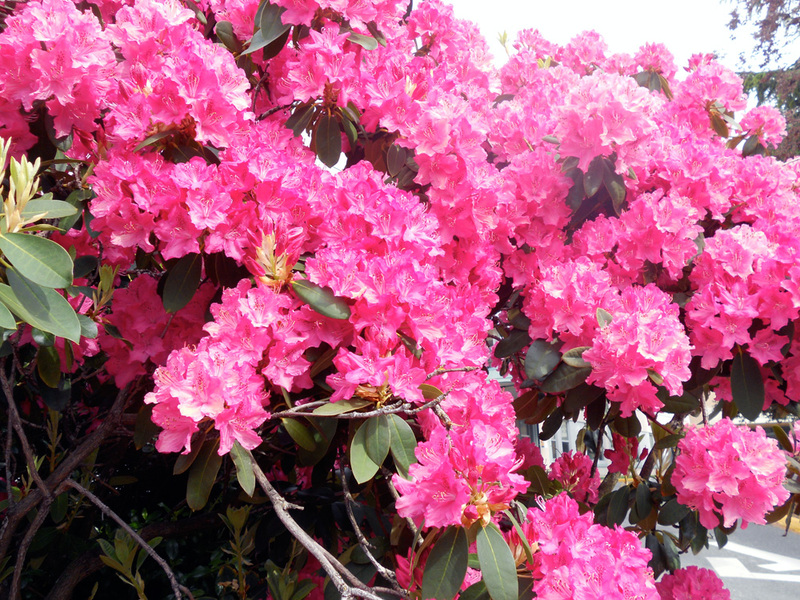 Found this glorious Rhododendron while running an errand. I thought their season had ended, but this one was still in its full splendor. 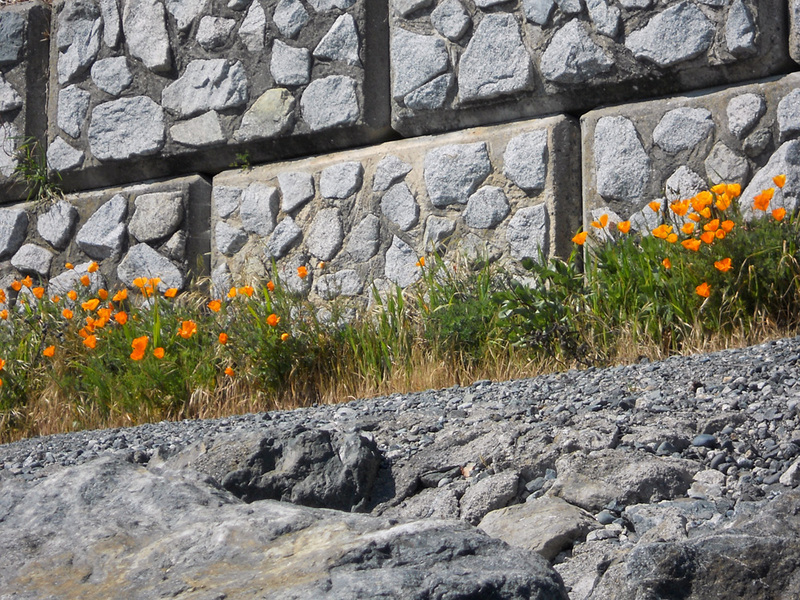 The first California poppies we’ve see this year. 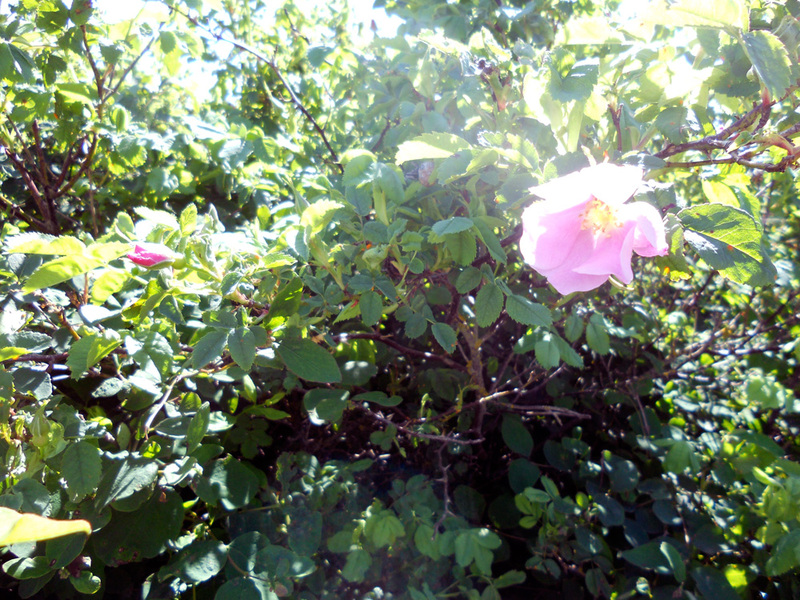 The first wild rose we see along Dallas Road. The scent is magnificent!